I’m in the process of opening a salon/spa. How will Salon STX aid me in the daily maintenance of my salon? For me, the software’s reporting capability is the biggest way that it’ll help me day-to-day. 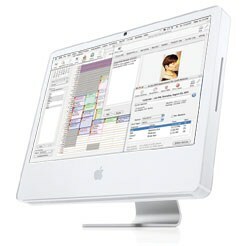 It can handle sales and inventory reports, track retail sales (including comparing it to the salon’s past sales), schedule clients, and link to accounting software. I just like the idea of having one program for virtually everything — instead of separate programs for each aspect of the business. I’m still learning about all the cool things it can do. For more info, I’d recommend requesting a sample CD from Salon STX and playing with it. That way you can figure out it it’ll work for you in your new salon. Good luck!